Mane Shop Fronts supply and install aluminium shop fronts in Manchester, Mane Shop Fronts are based in Stalybridge on the outskirts of Manchester and are a small firm offering top quality shop fronts at low prices. 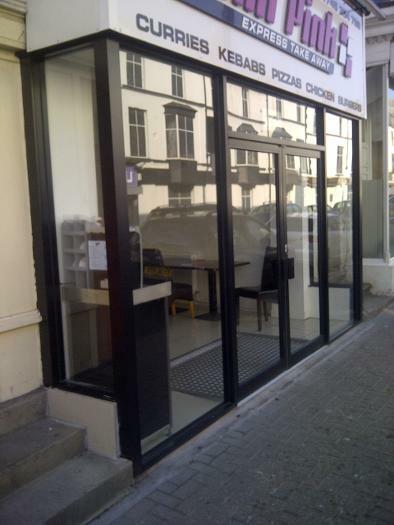 Mane will design your shop fronts to the spec that you require, once you contact us regarding having a new shop front installed we will visit your shop and go through with you what your requirements are, Mane will then supply you with a free quotation and drawing. If you decide to go ahead with having a new shop front installed in Manchester Mane will have it installed within 10 days of order. 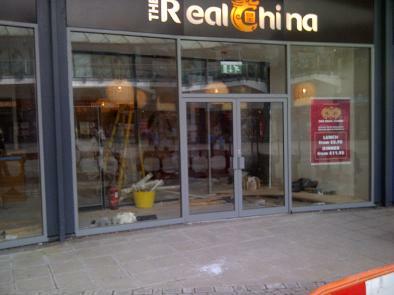 Mane Shop Fronts can install new shop front doors and replace or repair existing shop front doors in Manchester. If you want to keep your shop front but need a new shop front door Mane can do this and match the colour to the shop front. Mane also carry out repairs to shop front doors including door closers, floor springs, locks and glass.